All HOPE SUBDIVISION LOT 1-4 homes currently listed for sale in Scottsdale as of 04/25/2019 are shown below. You can change the search criteria at any time by pressing the 'Change Search' button below. "Sweetwater Estate, privacy with Mountain Views. Entertaining home, bright and open layout, travertine flooring, abundant storage, fireplace in the family room and Master, trey ceilings with custom lighting. Custom cabinetry, granite, Dacor appliances, double ovens, gas cooktop, warming drawer and subzero fridge create your gourmet kitchen. Wet Bar in Game/TV room. Spacious bedrooms, walk in closets and custom bathrooms. Stunning master suite with a cozy fireplace, accent lighting and separate w"
"FEATURED ON HGTV! 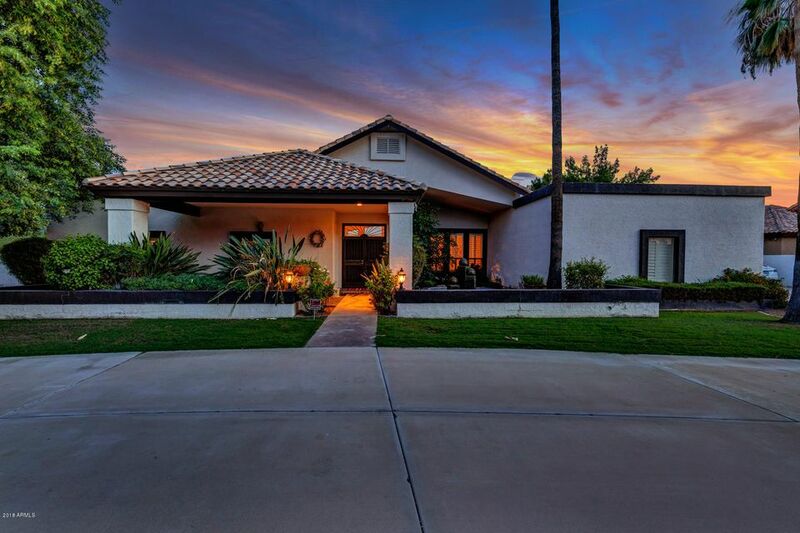 !This Gem is in the heart of Scottsdale! This home boasts a fantastic open floor plan and entertainer's dream backyard. Tile through all the main areas! The stunning kitchen features granite counter tops, upgraded appliances which include a SUB-ZERO refrigerator, Decor warming oven, upgraded convection oven & cook top and a SUB-ZERO 135+ bottle wine chiller unit! 2 NEW HVAC UNITS (20k VALUE)! A paradise of a backyard featuring a lagoon style pebble-tech pool and spa with amazing"